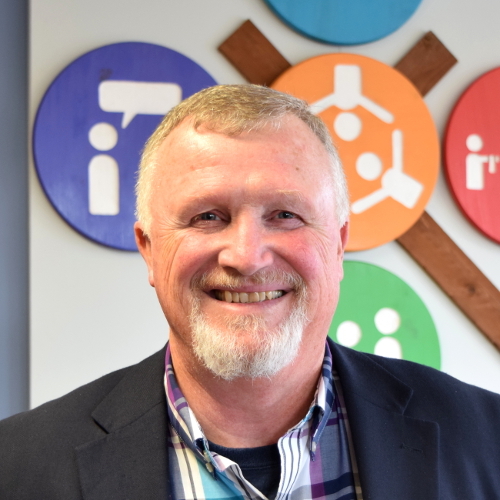 Hello, my name is Mick Keville and I am the Senior Pastor at CrossRoads and blessed to serve in this capacity from our founding in 1998. I am responsible to the Board of Elders for the overall ministry of the church—defining our strategy, leading our staff and serving as primary teacher of the Scriptures during services. My ultimate guide for ministry is the Scriptures, both Old and New Testaments, serving as the framework for life and ministry. We believe in the verbal inspiration and inerrancy of the original writings of the Old and New Testaments. As the Senior Pastor, I interact with our congregation, our missionaries worldwide as well as many local religious, civic, and community organizations in the greater Central New York area.